Source. Scientific American. Reported by Katie Worth. See slideshow. Argentina and Chile Decide Not to Leave it to Beavers. Importing the incisor-toothed hydrologists from Canada to the southernmost tip of South America seemed like a good idea in 1946, but it wasn’t. Rarely has the inception of an environmental disaster been so triumphantly documented. Abundance they found. Six decades later the descendants of those 20 pioneers number in the tens of thousands in Patagonia. The beasts have swum from Tierra del Fuego to the continent and beyond, and now occupy an unknown number of islands in the vast uninhabited archipelago off the coast of southern Chile. 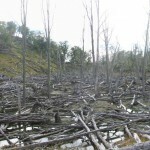 As they waddle their way north, building dams, creating ponds and procreating, they lay waste to vast tracts of land, which appear scorched or bulldozed. The destructive power of the beavers in Patagonia surprised ecologists in North America, where the same animals have been reintroduced to wetlands in need of restoration. Read more by clicking here. 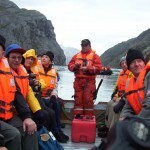 Scientists from the University of Magallanes in Chile have teamed up with colleagues in Argentina at the National Parks Administration, the National University of Tierra del Fuego and the Austral Center for Scientific Research to develop an innovative project that links science & tourism and bridges the historical gap between the two countries in the Tierra del Fuego Archipelago. In general, such collaborative ventures are considered “outreach,” whereby the scientific organization “helps” the private sector. In this project, funded by the Chilean Science and Technological Commission – CONICYT, the dialogue is reciprocal; scientists not only are training local tourism guides, but also involving them in the research and monitoring projects in the archipelago. 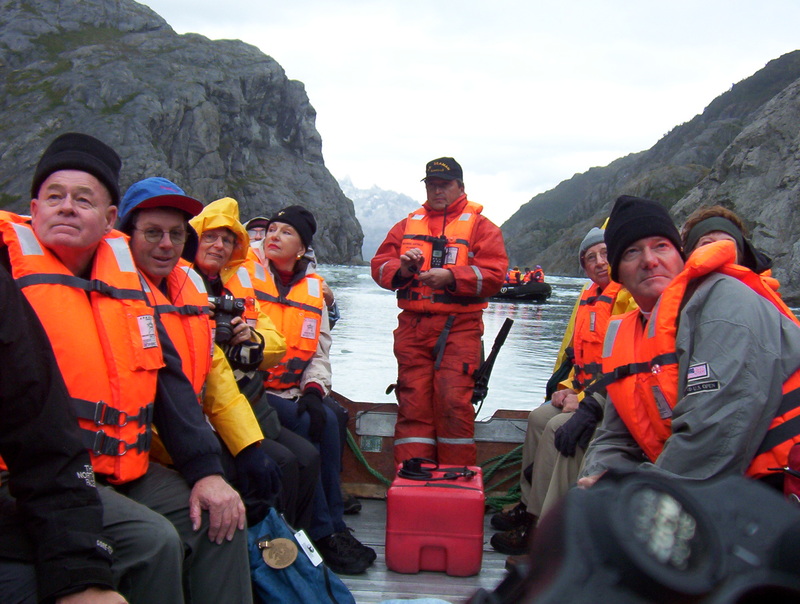 The goal is to value the deep knowledge and capacity of the tourism industry to generate new information, monitor its own impacts and provide a service to the academic community by helping implement a monitoring and sampling network in remote parts of Tierra del Fuego, where few scientists venture. Working in this pilot effort with the company Cruceros Australis, the project’s directors have begun five new data collection protocols: a) following of plant phenology, b) description of intertidal marine communities, c) monitoring of invasive species and birds, d) sampling ocean chemistry and e) recording trash throughout the navigation routes. In this way, scientists and the private sector hope to promote a binational approach to sustainable development options via ecotourism and also implement much needed long-term research and monitoring in one of the world’s most remote archipelagos. Jean-Paul Zagarola and colleagues from the U.S.A. and Argentina recently published the cover article in the journal Environmental Management entitled “Perceiving Patagonia: An Assessment of Social Values and Perspectives Regarding Watershed Ecosystem Services and Management in Southern South America.” This research, which was funded by a Fulbright student grant and a U.S. National Science Foundation IRES award, was the first of its kind by simultaneously exploring the mentalities of “regular citizens” and “specialists” on both sides of the Fuegian Archipelago. Research on human dimensions of ecosystems through the ecosystem services (ES) concept has proliferated over recent decades but has largely focused on monetary value of ecosystems while excluding other community-based values. 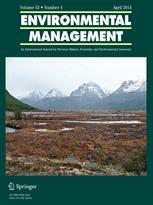 This study conducted 312 surveys of general community members and regional researchers and decision makers to understand local perceptions and values of watershed ES and natural resource management in South America’s southern Patagonian ecoregion. Results indicated that specialists shared many similar values of ES with community members, but at the same time their mentalities did not capture the diversity of values that existed within the broader community. The supporting services were most highly valued by both groups, but generally poorly understood by the community. Many services that are not easily captured in monetary terms, particularly cultural services, were highly valued by community members and specialists. Both groups perceived a lack of communication and access to basic scientific information in current management approaches and differed slightly in their perspective on potential threats to ES.